How do we tackle the disinformation spreading on social media, influencing elections and referendums, and polarising political debate? Hot topics in the legal world and updates from people raising funds for legal matters on CrowdJustice - all in this week’s Justice Beat. “They didn’t tell us he was ‘trained to kill by ISIS'.” - Foster carers of the Parsons Green bomber are suing Surrey County Council. 1. We’ve all heard about foreign bots using social media to interfere in elections, but a report from New York University claims that far more false and divisive online content is produced domestically than comes from abroad, Wired reports. Since companies like Facebook already suppress news they know is false, NYU is asking why Facebook doesn’t take the next step and remove it altogether? 2. More troublesome news for Facebook, whose sharing of users’ data with its partners without first obtaining users’ consent may result in criminal prosecution, CNN reports. Prosecutors have recently launched a criminal investigation into Facebook’s data sharing deals with several well-known technology companies, taking the pressure on Facebook to protect users’ privacy up a notch. 3. Meanwhile, singer Sir Cliff Richard is supporting a campaign to keep people accused of sexual offences anonymous until they are charged, Sky News reports. A police raid on his home was broadcast by the BBC after he was accused of sexually assaulting a child. Last July, a judge ruled that the BBC had violated Sir Cliff’s privacy rights. Law enforcement is investigating whether celebrities and their wealthy friends in the US bribed officials to get their children into elite colleges, Vice reports. The alleged scam supposedly works by parents using philanthropy as a veil for bribery, unfairly improving their children’s chances of admission to prestigious schools. 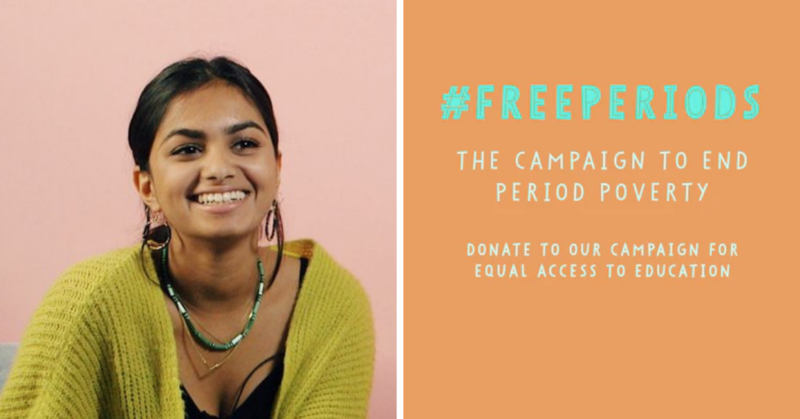 Good news for campaigners fighting period poverty in schools: the Chancellor promised to make free sanitary products available in secondary schools and colleges. Amika George and the Red Box Project raised over £20,000 on CrowdJustice and continue to fundraise to press the Government into extending the scheme to primary schools. Also on CrowdJustice this week: artist duo Mike & Rika are raising funds to protect their intellectual property from competitors, friends of Cemetery Road Allotments are fundraising to protect local green spaces from demolition, and concerned parents are raising funds to challenge cuts to short breaks for children with special educational needs and disabilities. Do you follow CrowdJustice on LinkedIn? Get the latest legal news and updates from people raising funds for legal action. Follow us here.